Want to be a part of a fun and innovative community this summer? For the first time ever, connect with Scientistas in your region! Join our regional mailing list for undergraduate, recent grads (students taking time off before grad school) and graduate women in STEM! Find out about regional meet ups and events this summer. Start online discussions, find out about academic and professional workshops and events, and intercollegiate socials. Meet like-minded women who share your interests and make new friends from your city! Join a regional mailing list to start connecting! What Women Want...Results from our Scientista Survey! Thanks for your feedback! 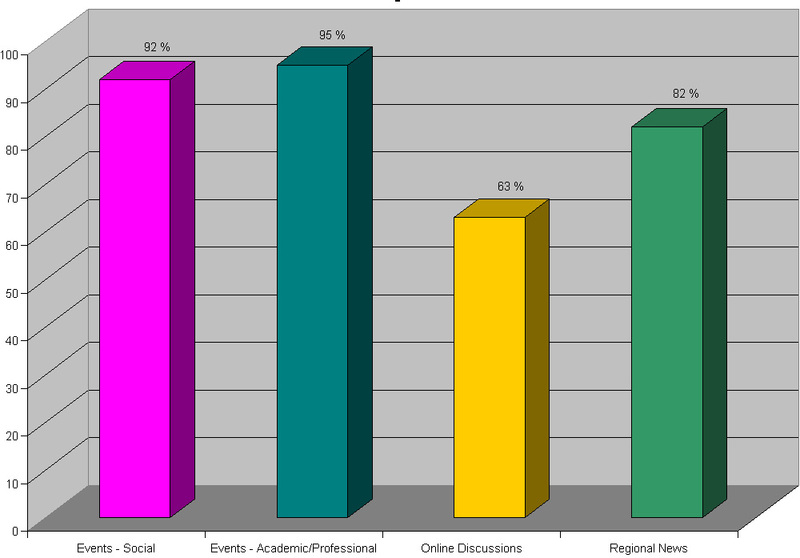 According to our survey*, < 90% of Scientistas subscribed to mailing list are interested in social, academic, and professional events. Subscribe to our regional lists to find out about events in your area!